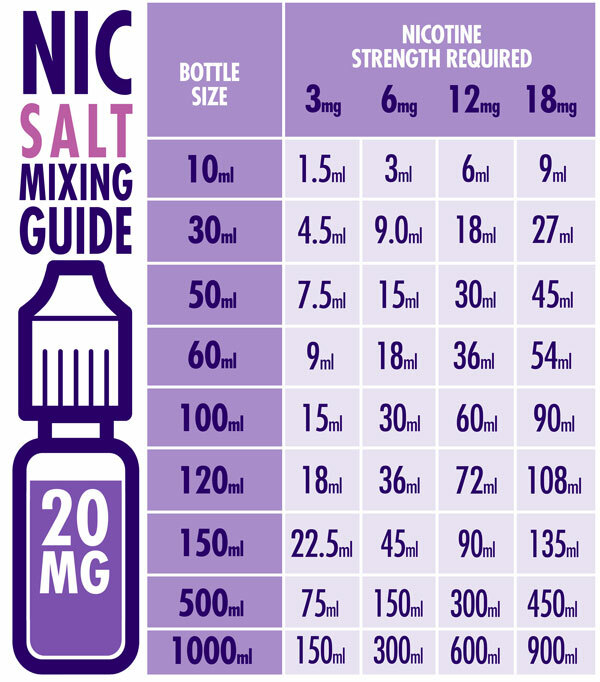 The measurements shown below are round numbers therefore adding the right amount of nicotine salt to your mix is fairly straightforward. 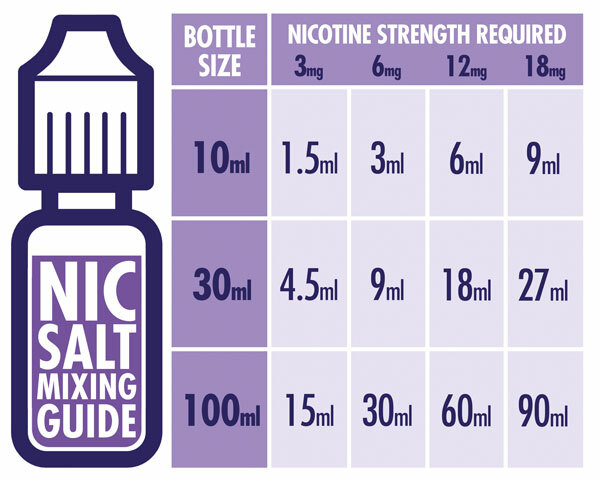 Please refer to the table below referring to the nicotine salt solution measurements for different bottle sizes. For a more in depth guide click here!